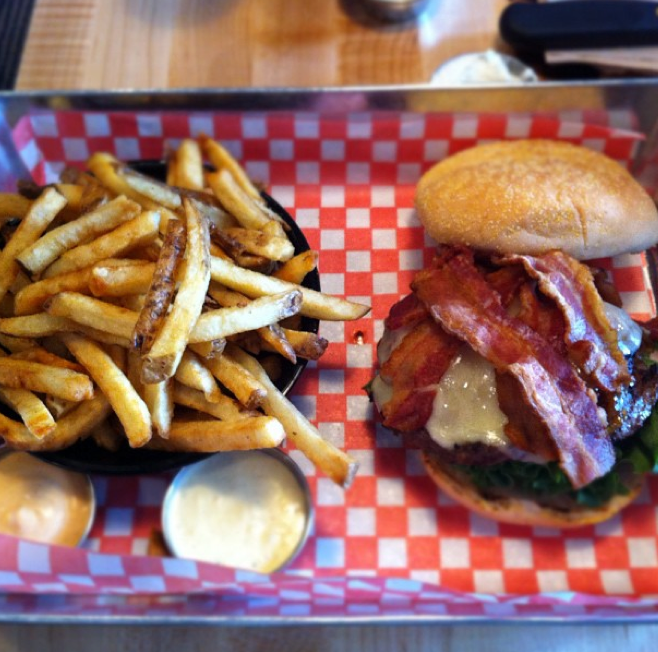 For those of us needed a burger fix in the east end (with table service) by Friday we’ll have somewhere new to go. 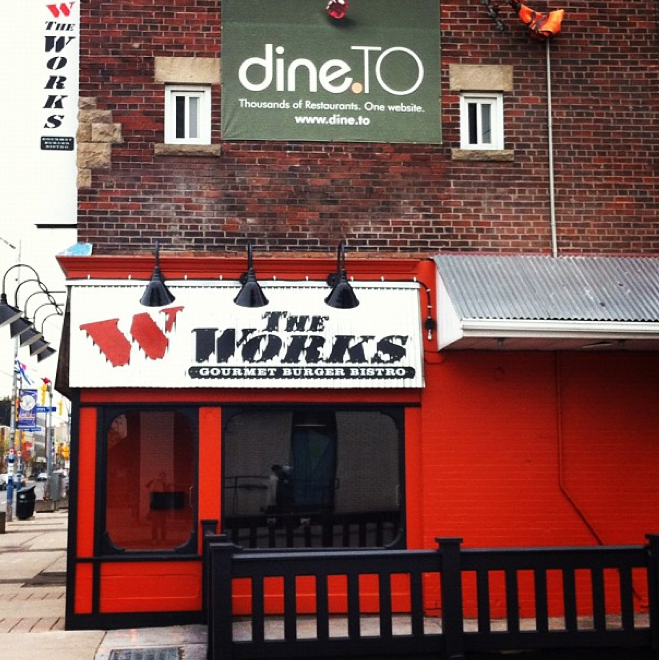 The Works, a Canadian chain which originated in Ottawa and has been winning burger titles in its hometown as well as Kingston and London and is expanding to Toronto. 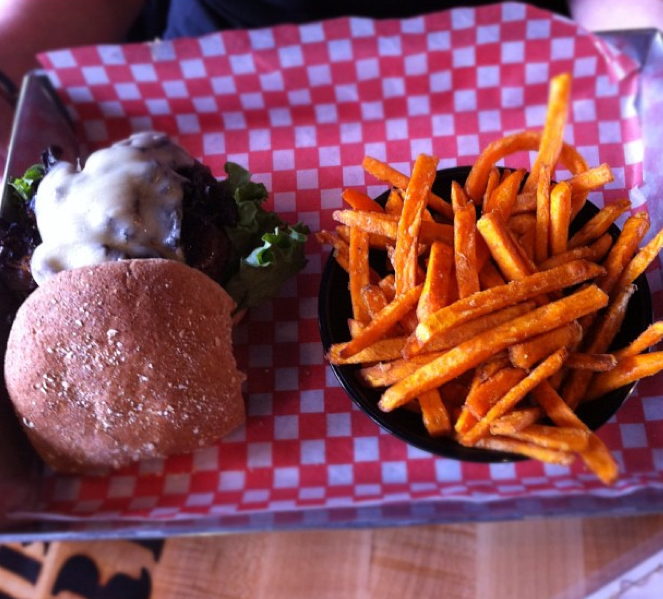 My burger cravings are usually satisfied on one end of the spectrum by Harveys (yep, yumm) or the burger at Allan’s (and of course Burger’s Priest, all hail) but I looked forward to checking out the competition yesterday at their pre-grand opening. Which is when I got addicted to a mocha-oreo shake. 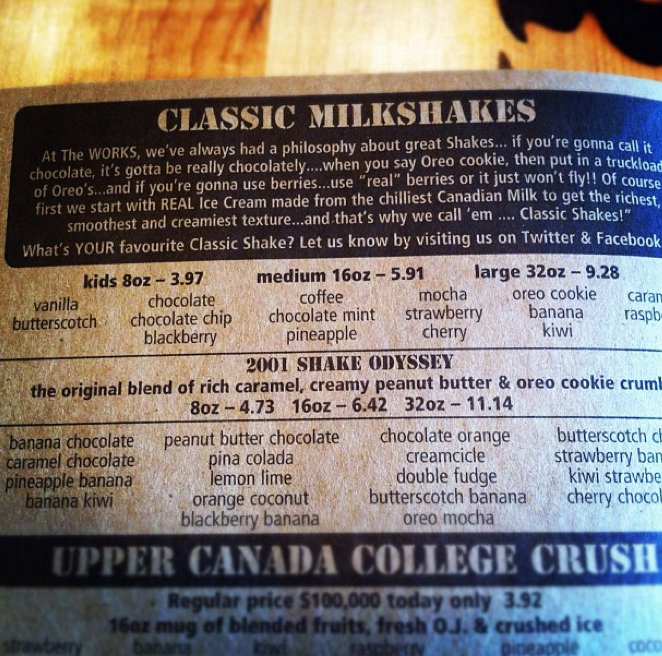 I ordered the shake first to give me some time to go through the massive list of burger toppings. 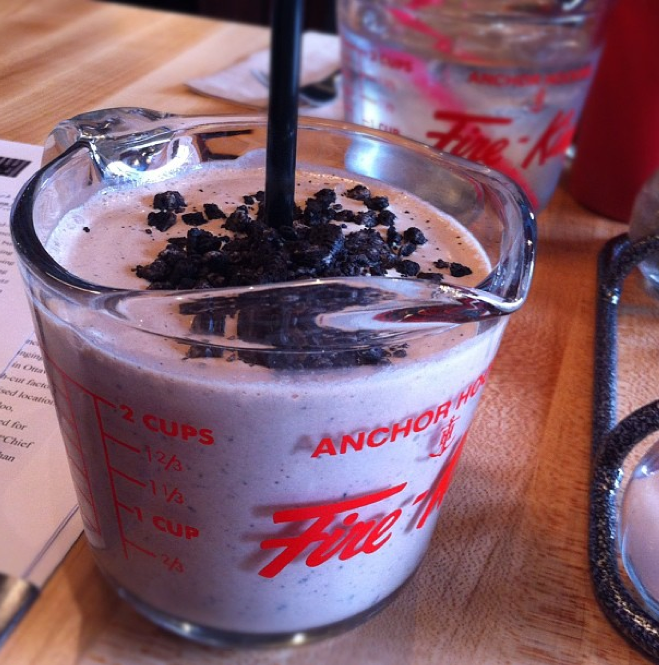 Even the shake selection was vast–but pretty awesome. I have a thing with ice cream–I never crave it, never buy it, but when presented with it, can’t get enough. 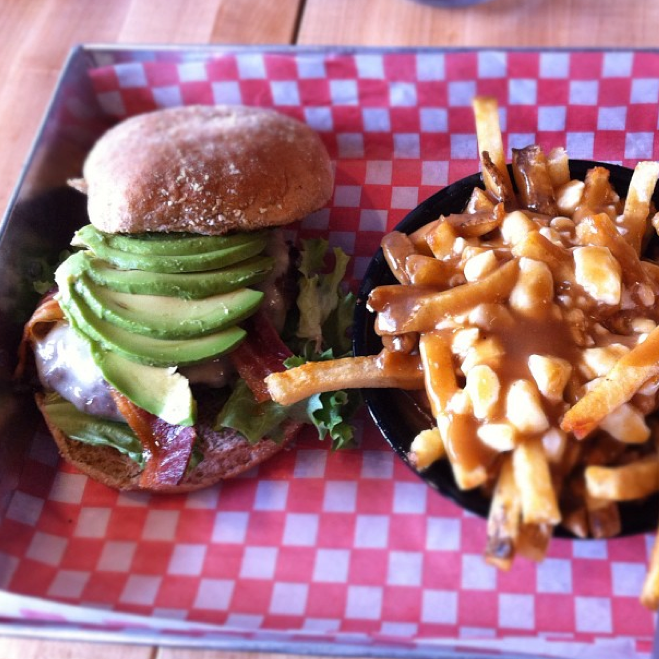 So sipping my 2-CUPS of childhood nostalgia and with help from my server (if the service is as friendly and fun all the time, it may be the main reason to go) made a burger decision–decisions actually. So, the above is my Grid Burger with chipotle ketchup, Havarti cheese, 4 double smoked bacon slices (they had me at FOUR) and caramelized onion. What’s that you say? 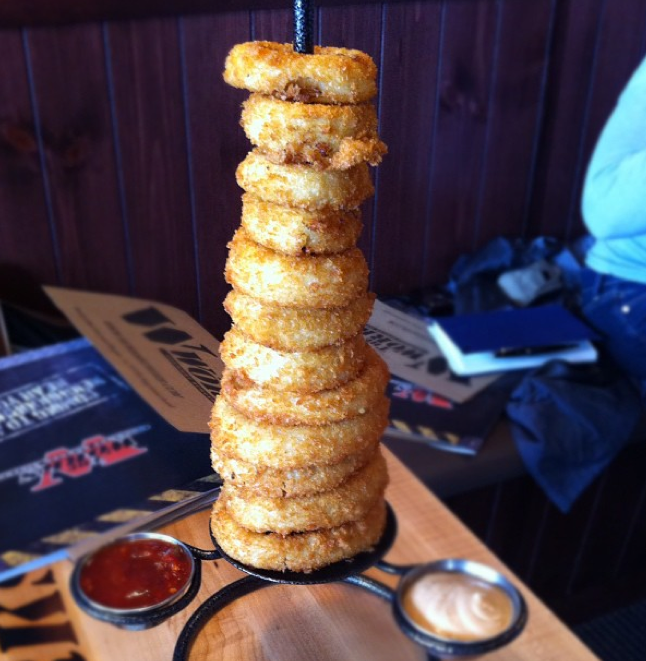 It’s not burger night without a tower of Onion Rings and a zillion sauce options? Breaded not battered is apparently the secret to their crunchiness. And though I am not usually an onion ring fan, OK, I admit, they were pretty tasty. Sauce options that I tried were the Hot as Hell, Dijon-haze, Beechhouse (a creamy veggie dip), Chipotle Mayo, Tzatziki Chill. 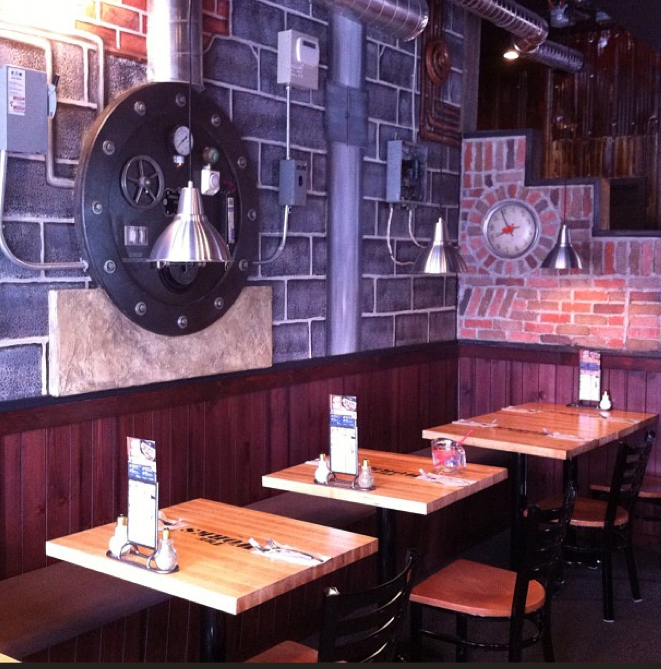 The Works franchises work with local charities to raise money and help the less privileged (eating a tower of onion rings means you are privileged) and in honour of their Grand Opening they are serving complimentary food tomorrow THURSDAY, MAY 3, 11am-2pm and 5pm-8pm with a “donate-what-you-want” policy, proceeds going to the Pape Food Bank. If you head over, make sure you give a salute to Square Boy across the street. 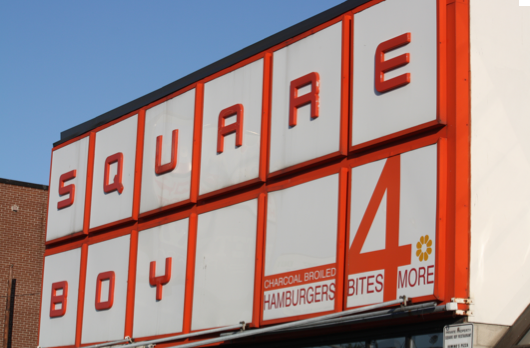 I asked CEO Andy O’Brien if he thought they’d pull business away from this Danforth fave (open since the 60s) but he said they talked to the Square Boy folks and they feel they have different food and a different crowd. 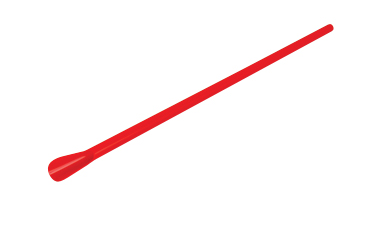 All I can say is I woke up thinking about the damn milkshake—though FYI The Works, you need straws with the little scoop at the end of them. Just a little customer feedback. Forgot about this today… Woulda been perfect as the boys & I are on our own this eve.